Product datasheets can now be downloaded directly to your device, allowing you to share them easily with your team or clients. Find the right product more quickly, thanks to improved load speeds across all devices. View the app in your own language – simply click on the globe icon in the top right. We are excited to announce that we have now fully launched our brand-new mobile app: ‘Mats in Mind’. ‘Mats in Mind’ was developed in-house by COBA’s Marketing and Sales teams, and launched in October this year, at the A+A trade fair in Düsseldorf – Europe’s largest exhibition dedicated to health and safety. The app has been designed to be a user-friendly sales tool for distributors to have readily available on their mobile devices, be they phone or tablet. The app is available to download for free on the App Store and the Google Play Store, just search for ‘Mats in Mind’. The app operates in five languages – English, German, French, Polish and Slovak, depending on the language setting of the device. 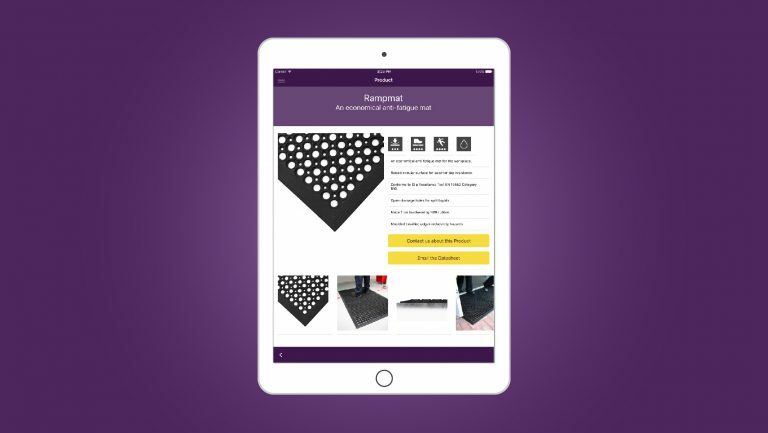 ‘Mats in Mind’ includes features such as a handy decision tree, allowing the user to quickly narrow down their search for the perfect matting to their business environment. Our aim is to ensure that the end user get the right matting for the job, and also the safest and most suited to their premises. This feature does just that. The app also provides the user with detailed technical specifications to ensure that they have all the information they need instantly. Furthermore, the app provides the user with the option of emailing their chosen product’s datasheet to themselves or their client, for ease of access. The user is also able to contact COBA Africa directly through the app, if further support is needed. Floor-level safety is a priority for us, and so we have worked hard to ensure that the app is not only easy to use but covers all major purchasing considerations. 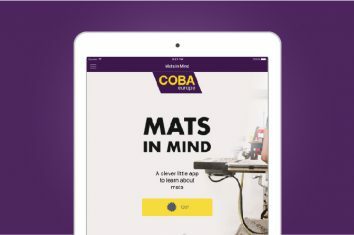 As a market leader in floor level safety, COBA is the first company to develop such an app at this time. We are always looking for ways to make the lives of our customers and end users easier, more productive, and most importantly safer.